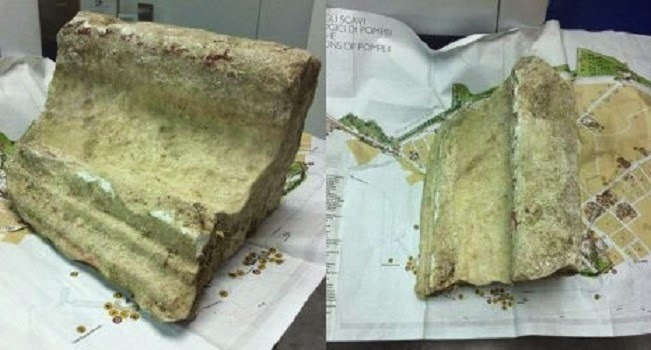 Two American tourists were caught at Rome’s Fiumicino airport with a 30kg artefact from the ruins of Pompeii stashed in their luggage. The American tourists allegedly stole an artefact from Pompeii weighing 30kg. The artefact, which would have adorned a building at the site near Naples, was discovered on Monday morning in the tourists’ luggage in their rental car. They reportedly intended to fly home but were stopped by airport authorities and now face charges of appropriation of state heritage, Italian news sources said.